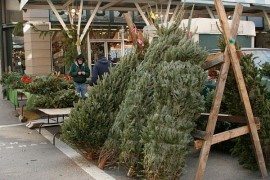 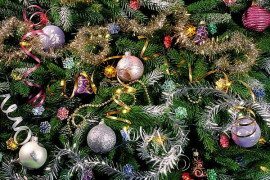 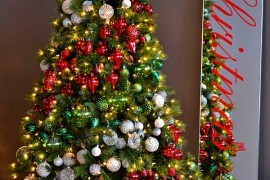 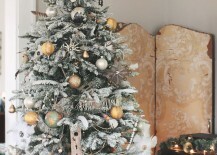 Most Christmas trees have always traditionally included either a star or an angel at the very top, but that doesn’t mean you can’t break the rules a bit by using something else that’s perhaps a little more modern or that fits better with the theme and style of your decor. 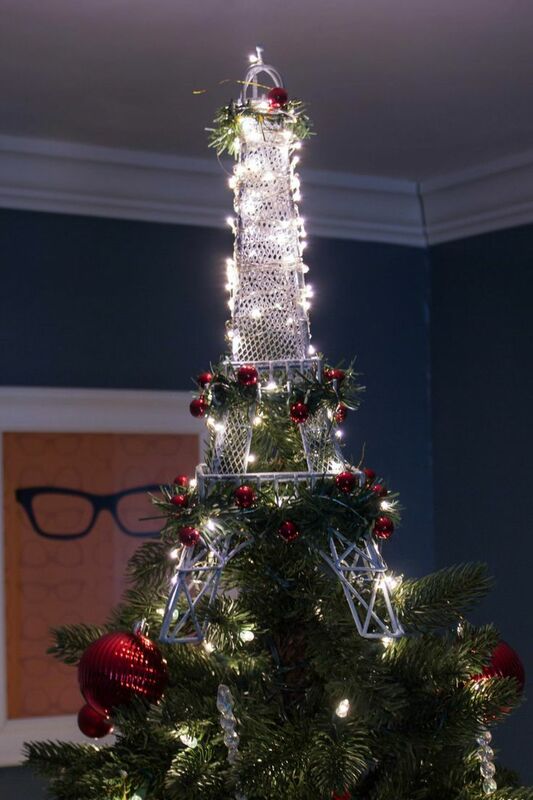 The possibilities are really endless, and your unconventional tree topper might even serve as a great conversation starter for your holiday party or family get-together. 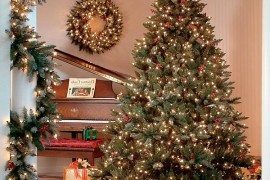 Here are just eight great ideas to consider. 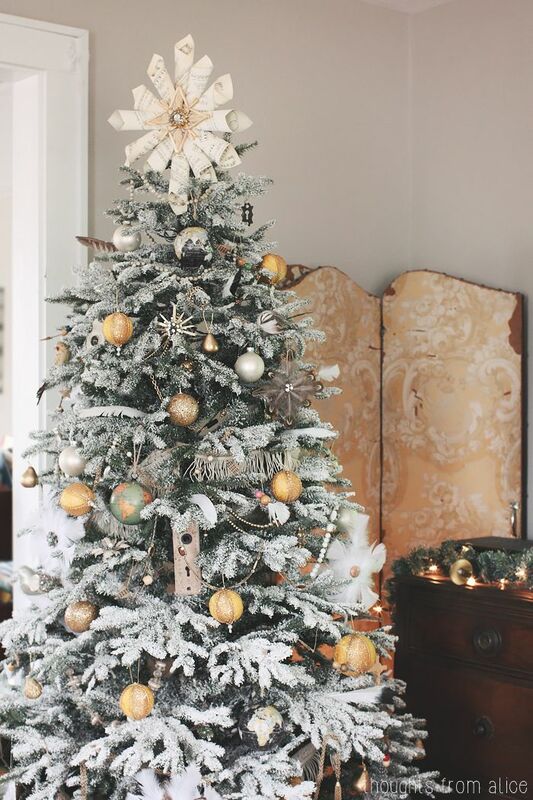 You put a lot of work into making your tree look absolutely stunning, so an elegant crown might be the perfect finishing touch! 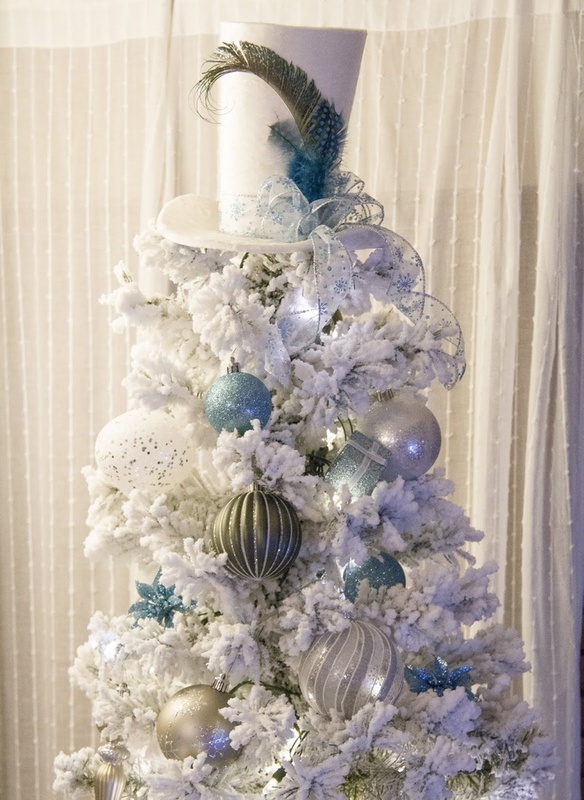 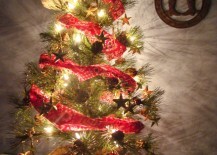 Take a look at these two trees with crown tree toppers from Shabby Story and Pinterest user Angelika Rohraff. 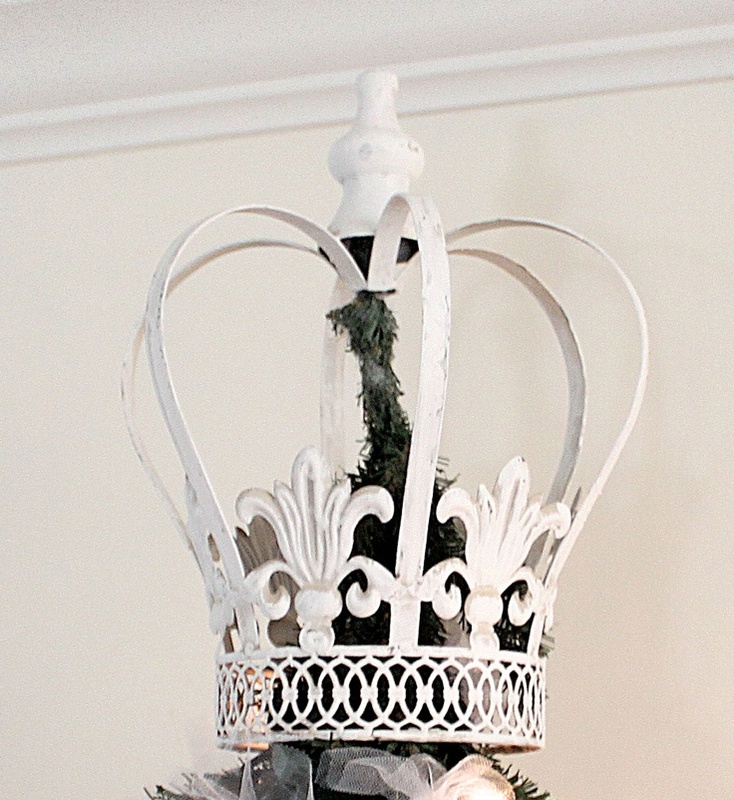 For more of a fun look that’s somewhat similar to the elegant crown topper idea, you could rummage through your closet to see what kinds of old hats you might be able to dress up and use. 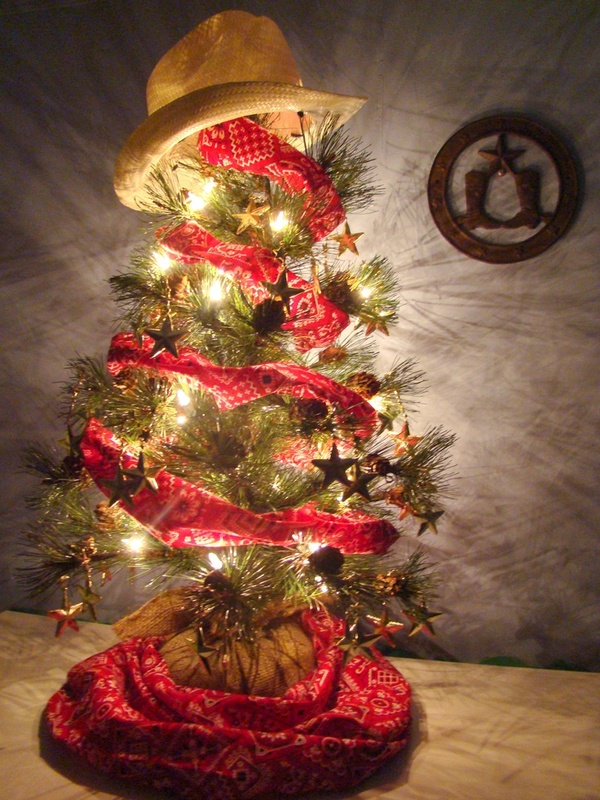 This tree from Swingn’ Cocoa uses a matching white top hat, while this cowboy hat pinned by Pinterest user Kylie Hoegermeyer works perfectly with the western-themed bandanas and star decorations. 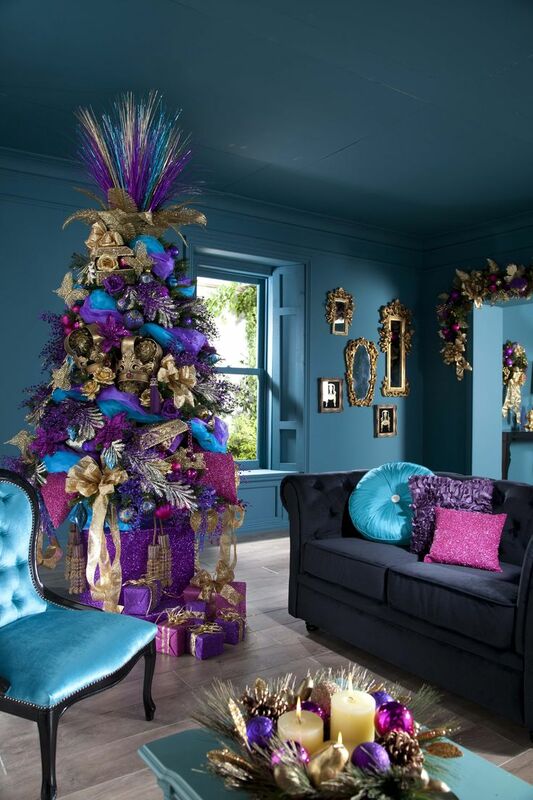 If you love a blue and green color scheme, you could take inspiration from one of the most beautiful birds in existence by decorating your tree to look sort of like a peacock. 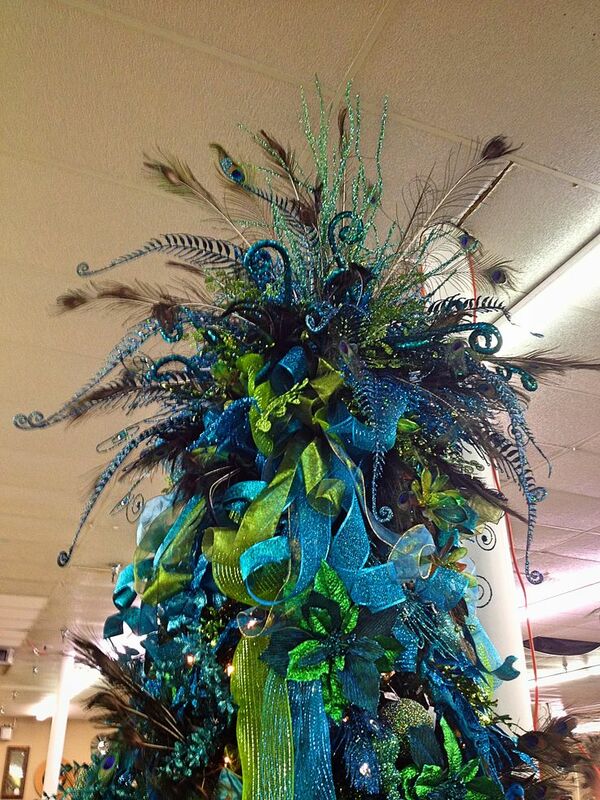 This topper from Arcadia Decor goes all out with lots of different feathers and ribbons, whereas a similar topper that was sold by Etsy shop Horns Handmade tones it down a bit with some of the feathery details. 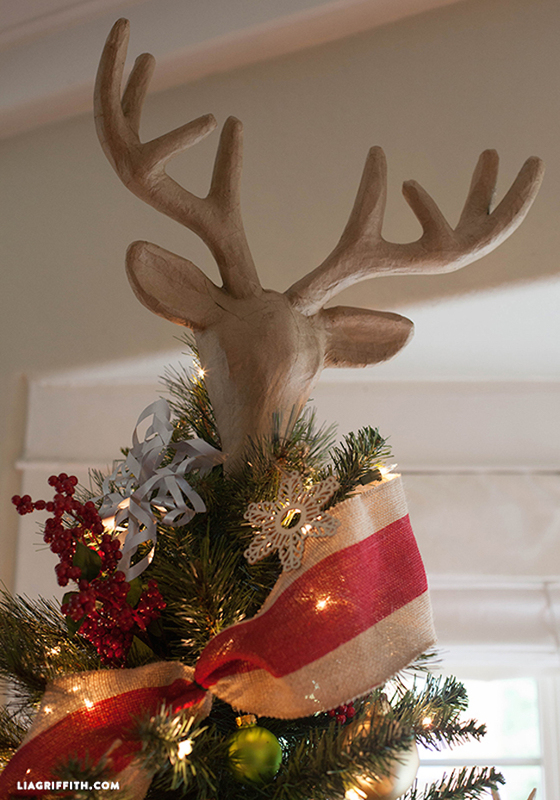 A pair of antlers on top of your tree would work great if you’re spending Christmas in a cabin or at home surrounded by rustic decor. 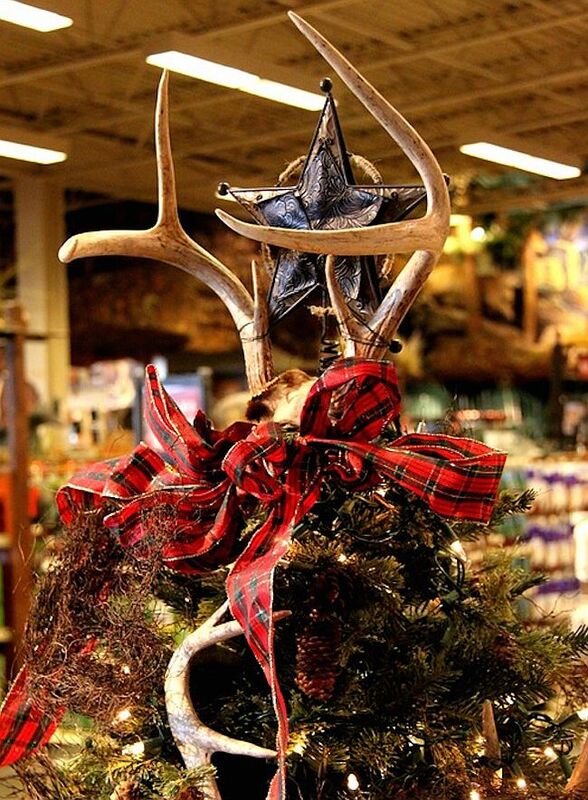 Life in Bonita Springs uses a star topper, but combines it with a pair of real deer antlers to frame it in a neat way. 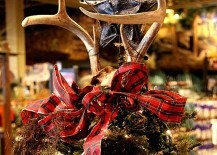 Don’t like the look of real antlers? 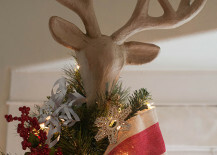 Try a faux pair, like this lovely example of a decorative reindeer head featured by Lia Griffith. 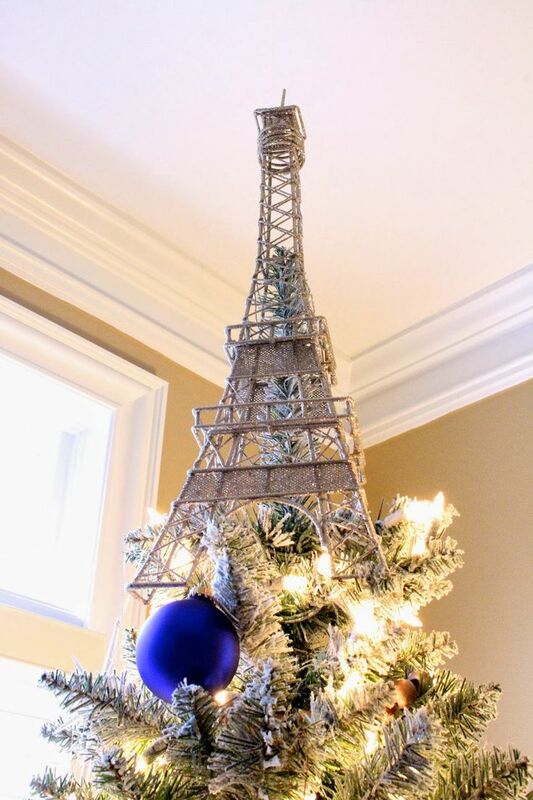 Most people might agree that the Eiffel Tower is one of the prettiest famous landmarks in the entire world — and for that reason, it can even go on top of your Christmas tree! 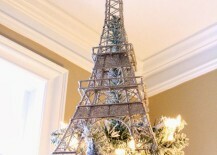 See how easily this Eiffel Tower replica from Makeup by Tiffany D sits on top of a tree and check out how the one featured on Undomestic Goddess can even be lit up with mini lights. 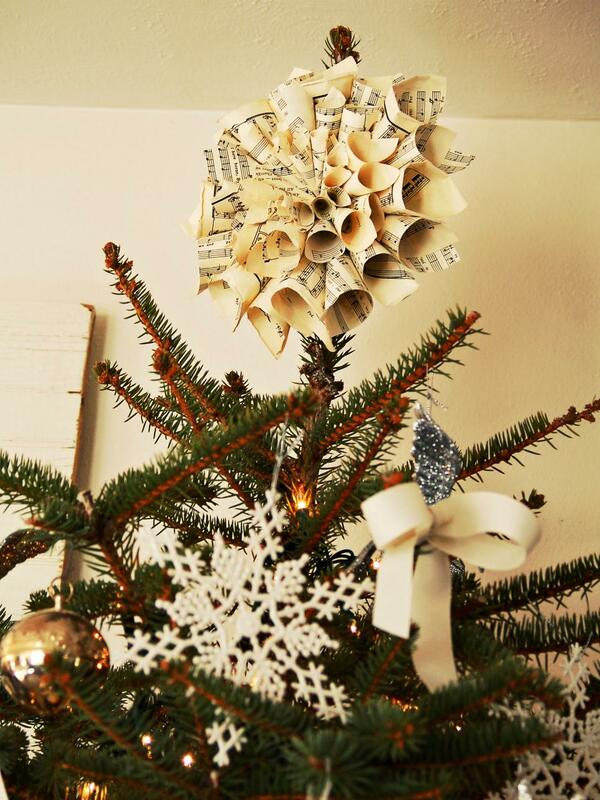 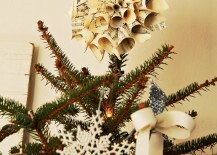 If you’re feeling up to taking on a small DIY project, you could hunt around for some old music books to rip the pages out and use them for your tree topper. 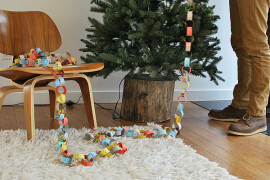 All you have to do is roll them up, secure their ends in the middle, and maybe add an optional jewel piece in the middle. 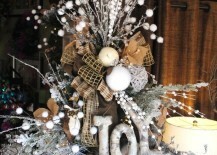 Here are two incredible examples from HGTV and Thoughts from Alice. 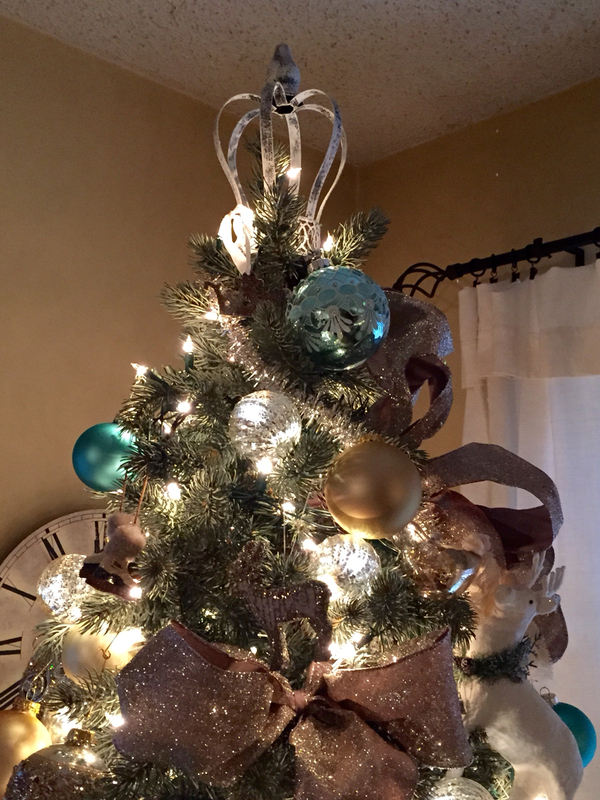 Speaking of DIY projects, perhaps combining a bunch of things into your very own creative tree topper masterpiece could be more up your alley. 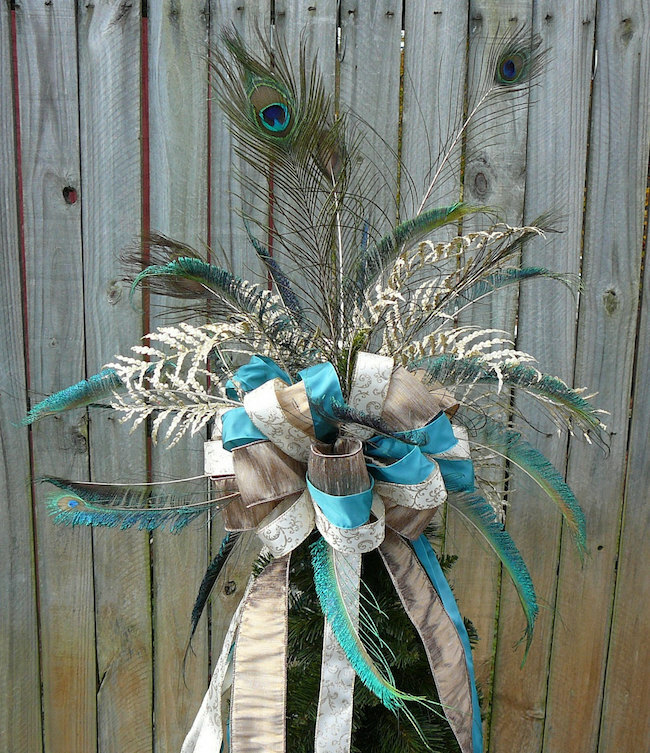 Twigs work great and make a real statement since you can add all sorts of extra things to them and tie them up with ribbon. 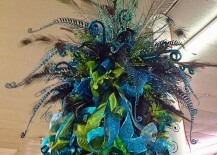 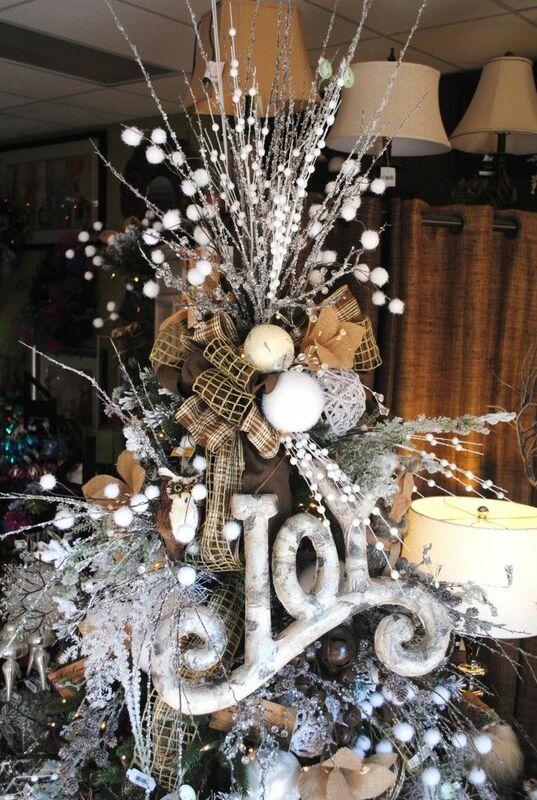 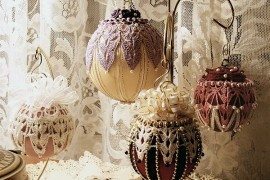 Check out these two remarkable creations from Magnolias Online and Decoholic. 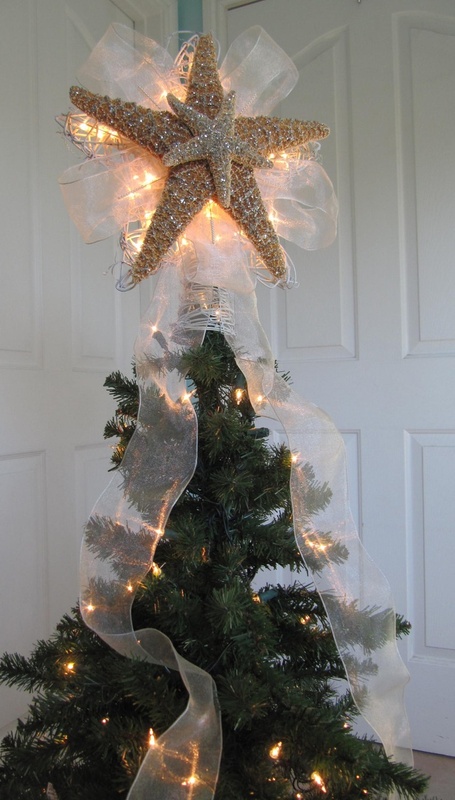 Keeping with at least part of the traditional tree topping trend, why not swap out a regular star for a real starfish? 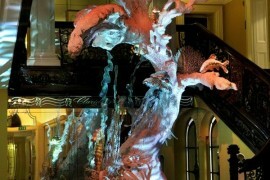 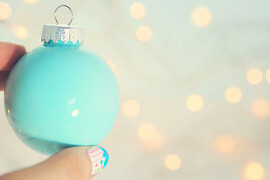 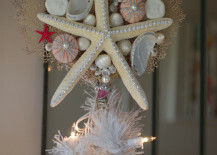 It would look great on almost any tree, but especially one with a beach or oceanic theme. 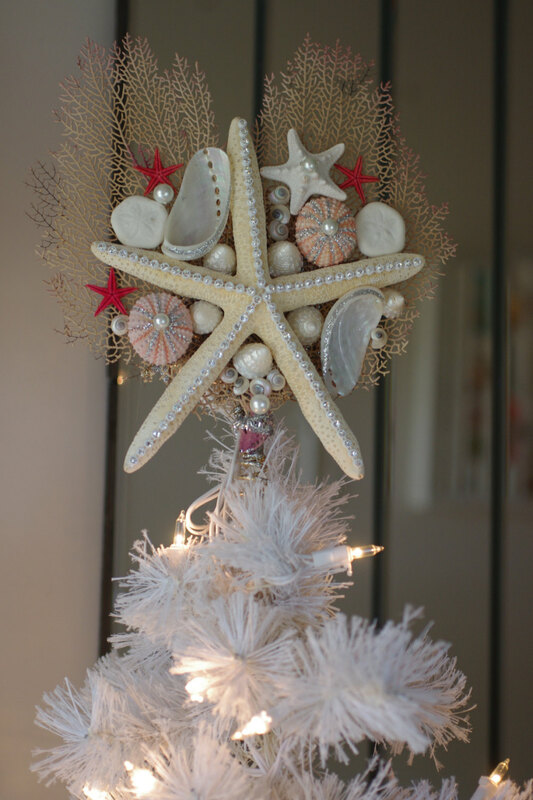 Here’s one that was found on Etsy store Christmas Tree Tops and another that combines the starfish with some extra little seashells and pearls from By The Seashore Decor. 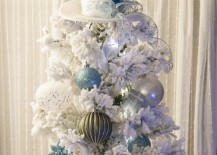 You certainly don’t come across a tree with one of these types of toppers very often. 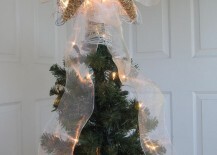 But you’ve gotta admit, they work great for taking an old holiday tradition and shaking it up a bit!